Laura is a photography ninja! She captured some beautiful moments and we didn’t even notice her doing it. On top of this she was one of the kindest, most calming and lovely people we had the pleasure of meeting during our wedding planning. I can’t recommend her highly enough. 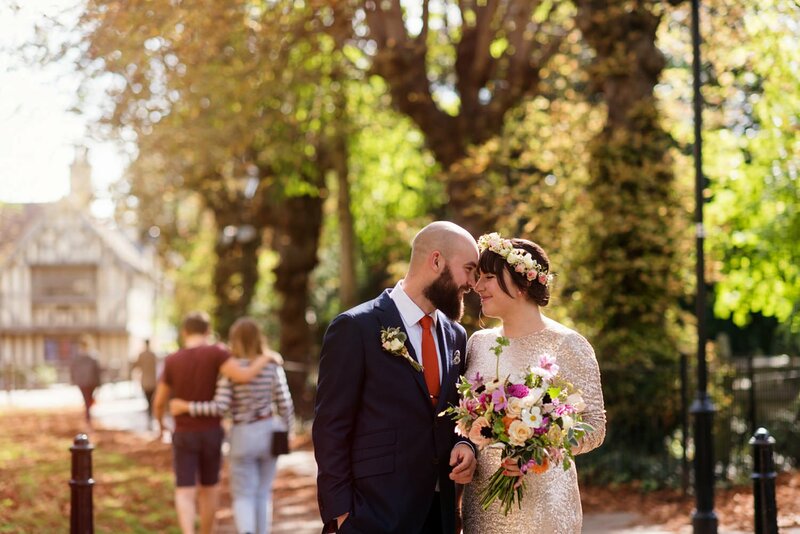 To be honest, we felt like we didn’t talk to Laura at all during the day – we’d discussed everything and she made everything so easy that we’ve decided she should have some higher role than ‘just’ photographer – I think she was probably crucial in keeping the day together! However, that’s a testament again to Laura, she was unobtrusive whilst also getting all the photos we wanted and has produced something beautiful – we decided originally to book Laura because her photography is incredible, but she also fitted with our personalities and just made us feel so secure about everything we would do together. Laura is amazing, supportive and so talented. She made us look beautiful and we both agreed she was one of the best decisions we made!